De Beren started of as an eatery in Rotterdam a long time ago. Over the years De Beren has grown a lot, they have 19 delivery restaurants and 33 normal restaurants across the Netherlands. 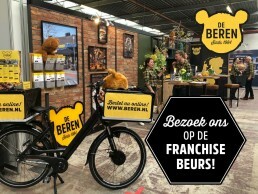 To continue this trend De Beren wanted to inform potential franchisees about their catering chain during a franchise fair. 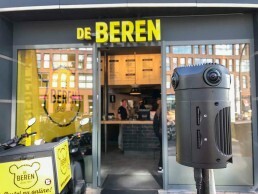 To show franchisees the character and unique selling points of De Beren restaurants we created two 360 videos at different locations. In the 360 video the viewer gets a virtual tour of the restaurants, there also is a voice over that provides additional information about the video. The two videos were shown at a franchise fair using the Gear VR produced by Samsung. The goal is to also use the videos in the future to give new staff members a introduction of the company. The client was very happy with the end product and the fair was very successful.